One of my favourite movies is Broadcast News – and one of its many, many beautifully written, witty exchanges that has always stuck with me is the one above. Super-smart, super-informed TV news producer Jane Craig (Holly Hunter) schooling not-as-smart, super-handsome TV news anchor Tom Grunick (William Hurt). I think I’ve always remembered it because deep in my heart, I want to be Jane Craig – but somewhere even deeper in my heart, I have a terrible fear that I’m Tom Grunick (without the super-handsomeness). It resonates because my inner Tom fears that my inner Jane is right. It’s a scene that came back to me recently in the run-up to the election. Like most people, I read news stories and political commentaries, and occasionally shake my head and sigh at the computer screen (in the absence of a TV). But, like Tom, how informed, how prepared, how qualified am I, really, about the issues I care about, about the things that make me shake my head at my computer screen? And more importantly: what do I do about them? Apart from sharing links and writing satirical pieces – the latter of which had a very powerful impact on the final election result, clearly – very little. My ‘taking part in the political process’ has, in practical terms, consisted of voting in elections. And that’s it. But there was something about this election that galvanised me. 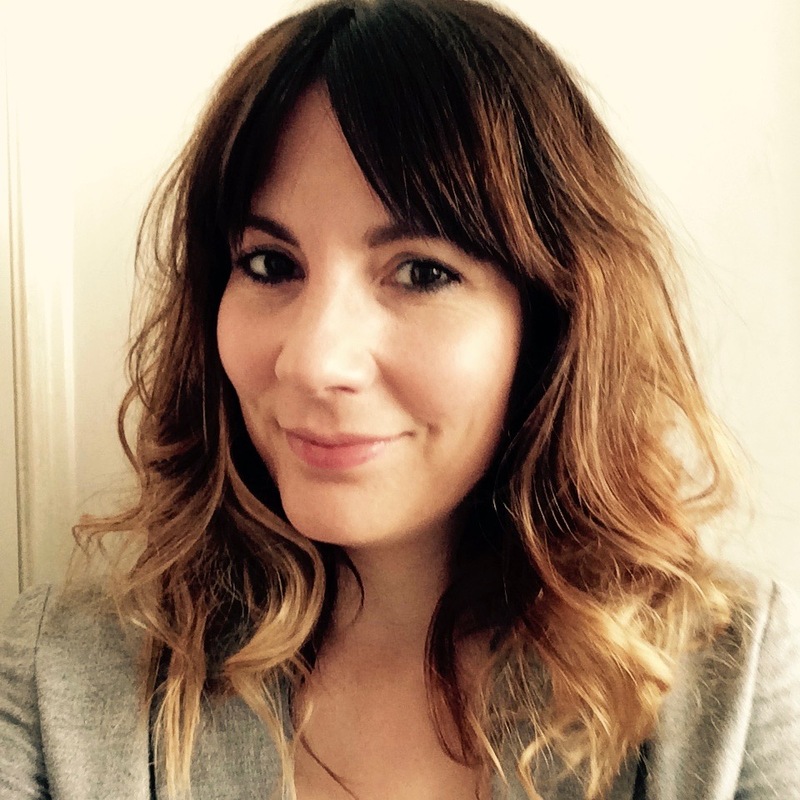 It may have galvanised me at the very last minute – but it did galvanise me. Many polices of the Tory-led coalition – and the policies the Conservatives were proposing if they won – are things which I am opposed to. Austerity, and the ideology of austerity – which effectively punishes the most vulnerable in our society for something which they didn’t bring upon themselves – is something I am very strongly opposed to. Not only did I firmly not want the Conservatives to win – I firmly wanted Labour to win. And the closer the election got, the more important this became for me. So while I have always sat left of centre (politically, not literally – it’s not some weird tic I have when choosing concert seats), I have never aligned myself fully and properly with a party. Until now. Now, I have realised that, while Julie Andrews preaches an awful lot of wisdom when she sings I Have Confidence – including “everything will turn out fine” and “A captain, with seven children? What’s so fearsome about that? !” – she was incorrect in telling us (or rather, herself) that “strength doesn’t lie in numbers”. Because I think strength does lie in numbers. And that’s why I’ve joined the Labour party. Because I want to be part of a collective body trying to achieve something that I believe in (or at least largely believe in: I don’t assume that I will agree with every Labour decision or policy, but I don’t think that’s a reason to not be part of it. I think that’s simply accepting how movements like this work). I want to take part in Labour party discussions and – most importantly, given my inaction thus far – actions. 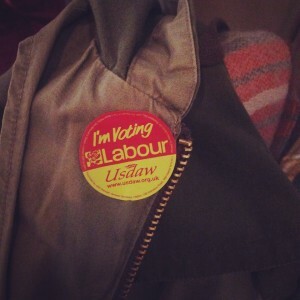 I want to be involved in how Labour takes that action and how it communicates its message. I want to be out there listening and speaking to people and taking steps to try and improve their lives (which may also be something I do through volunteering, not just through the Labour party). And I want to have a say in who should lead the party through all this – although at the moment, I admit that my thoughts have been largely limited to ‘Anyone, as long as they’re not younger than me’. I want to be involved. I want to take action. I want to ‘stop whining, and do something about it’. 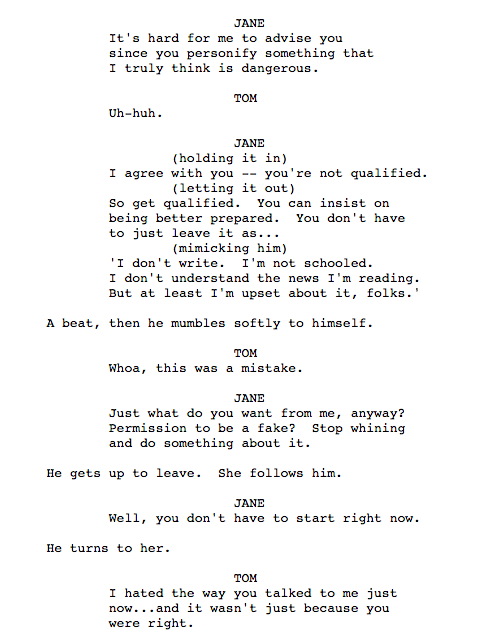 I want to be a Jane, not a Tom*. One of my favourite films is Dr Stangelove (from which I imagine you recoin your tag line). Odd, considering my x job, perhaps. I have just come across your tweets and love your GSOH too. I have developed along very similar lines. Do I take it, based on your pic, you have links with USDAW? Maybe it’s just coincidence. Anyway, I have been a Tu active person in politically unaligned PCS till I left my career behind: civil I hope, but not servile enough to get my GCMG, MBE or whatever. Anyway, I digress. I too was electrified by the election, and wanted to do something about it and gave a lot of thought to whom I should support and hence who I should join. Very much a floating voter, my beloved Bath has been LD for years. Keen on the truth (I totally endorse your profile precept about never telling lies) I found I could not support a disingenuous ex Lambeth, I think, councillor, from N Ireland. Olly for Labour was punchy, but at 20 needed more water to flow under the bridge, like Pooh sticks, perhaps. Lovely mum, who I met at the count, and locked with her in conversation about nothing much at 4 in the morning, both exhausted but engaging. Ben is, I believe, a true one-nation Tory without a silver spoon. But unknown cuts, particularly of welfare and defence (my alma mater) ruled him and them out. So I ended by deliberations with Julian, now my neighbour and friend, because, although I also don’t support everything they want, they are honest, naive and hence still close to the people, and aim to protect my rights to my faith, my lodestone, my rock. A week before the election, after making my mind up, Bang! Devine revelation – Ben and the Tories were destined to win, and the SNP sidelined. And so it occurred, despite all the polls. Funny old thing, life, isn’t it? Oh, and I write with a Dobermann one one side and a Boxer puppy on the other. . . Off into the hills with them in a mo. ‘If’ is another of my favourite films, and if perhaps sums up my story… at least so far.